Although many associate the term "guitar god" with rock music, the term was originally applied to folk players like Bert Jansch and John Fahey, who helped reshape how the acoustic guitar was approached. 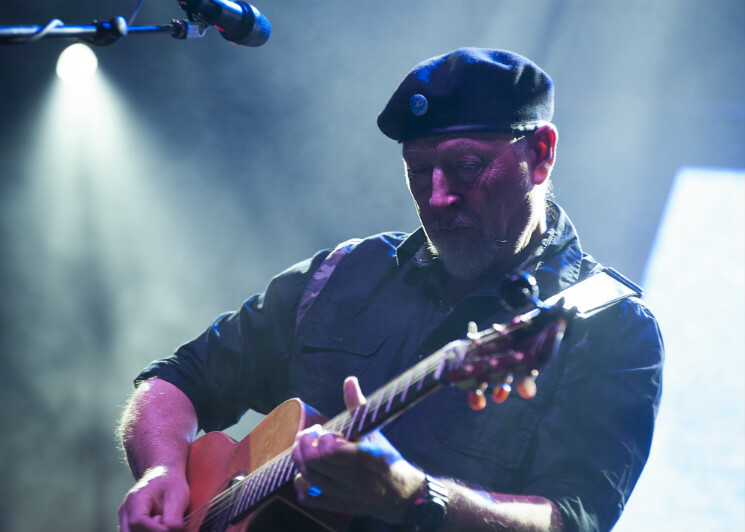 Witnessing Richard Thompson in a live setting, it's easy to see the influence of these late pioneers, as the former Fairport Convention singer/songwriter put on an unbridled demonstration of his skill for night five (July 12) of Ottawa's RBC Bluesfest. Headlining the festival's smallest outdoor stage at LeBreton Flats Park, Thompson played a stripped-down solo acoustic show for a few hundred fans that opted to skip Blue Rodeo's main stage performance. Ironically opening with a track from 2013's Electric album, "Stoney Ground," Thompson seemed gracious, relaxed and in good spirits throughout the 70-minute set, playing a sizeable chunk of newer material — including "Josephine" and "Beatnik Walking" from his latest album, Still — that found the British musician stretching songs out into mind-blowing guitar solos in his inventive hybrid-picking style. Putting together a mid-performance set of fan favourites that included "I Want to See the Bright Lights Tonight" and "Wall of Death," originally written and performed with his ex-wife Linda Thompson, along with Fairport Convention's "Who Knows Where the Time Goes?," Thomson went on to close the show with a stirring rendition of Rumor and Sigh's "I Misunderstood." Returning to the stage to play "One Door Opens" as the show's encore, Thompson left the crowd with a passion-filled performance that acted as a tremendous cross-section of this legend's 48-year career.